Tyler Hilliard was excited to pledge Alpha Phi Alpha, his mom said. Police said they are investigating whether hazing could have played a role in the sudden death of a 20-year-old University of California Riverside student this weekend. Tyler Hilliard died after going to a nearby mountain with other members and pledges of the Alpha Phi Alpha fraternity, according to his mother, Myeasha Kimble. (KABC) An investigation is underway after a student, Tyler Hilliard, at the University of California Riverside died in what may be a fraternity hazing incident. Kimble said her son, who was a business major at UC Riverside, was excited to pledge Alpha Phi Alpha this year. Alpha Phi Alpha "is one of the oldest Greek fraternities and it's a black organization. Martin Luther King was a part of that organization," Kimble told ABC News. "He did his research. He felt that this was a good fit for him because this organization appeared to be involved in community service." On Saturday night, Hilliard went with other fraternity pledges to Mount Rubidoux, ABC station KABC in Los Angeles reported. 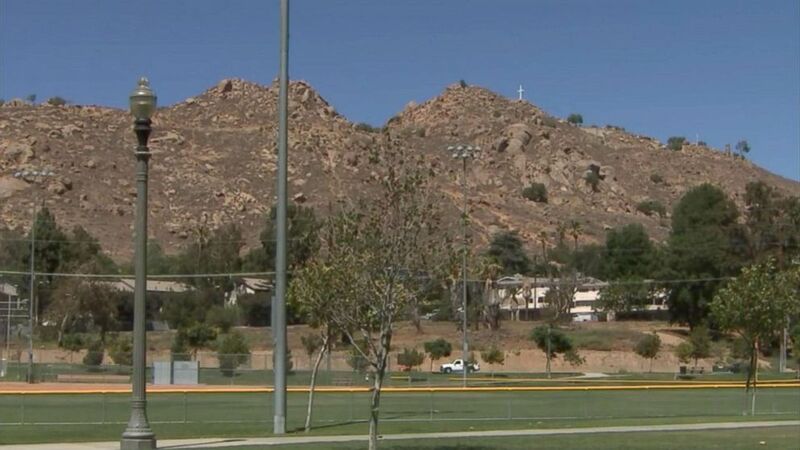 Medical aid was called to Mount Rubidoux around 9 p.m. Saturday, and Hilliard was taken to a hospital where he was alert and talking to staff, Riverside Police spokesman Ryan Railsback told ABC News. "When I got to the hospital I asked one of the pledgemasters, the ones that leads the pledges ... he said that they were about to start their hike at Mount Rubidoux and Tyler was complaining of shortness of breath or difficulty breathing," Kimble said. Then Hilliard collapsed and the fraternity members called 911, Kimble said. He was kind, he was sweet ... he had a bright future ahead of him. From the hospital, Hilliard's family called the Riverside Police early Sunday, saying they were suspicious about why Hilliard had ended up in the hospital and that hazing was possibly involved, Railsback said. "There were texts in my son's phone in regards to paddling," Kimble explained. "There were also text messages on the phone where he was getting hit with a cactus." Hilliard then went into medical distress, Railsback said. He was taken to intensive care and died. Kimble and the rest of his family are now left searching for answers. "He was kind, he was sweet ... he had a bright future ahead of him," Kimble said. "He was loving to everyone he came across... he was just a good person, a good son. He never gave his father and I any problems whatsoever." While Hilliard's autopsy report is still pending, police are "conducting an investigation as a suspicious death at this point," Railsback said. "We are looking into concerns the family has about possible hazing." UC Riverside said in a statement that the "community grieves the loss of our student Tyler Hilliard." "We’ve shared our condolences and offer of support with Tyler’s family and have made counseling services available to students, faculty, or staff who knew him," the school said. "UCR Student Affairs and UCPD are collaborating with the Riverside Police Department to determine the circumstances regarding Tyler’s passing." Meanwhile, Alpha Phi Alpha Fraternity's corporate headquarters said it has suspended all activities at its UC Riverside chapter. The fraternity is "deeply saddened" to learn of Hilliard's death and is investigating along with the university, the fraternity said. "Alpha Phi Alpha Fraternity, Inc. does not condone and strictly prohibits any illegal acts, including hazing in any form, whether physical or mental, as a term or condition of membership in the organization," the fraternity said in a statement Monday. "Any member found violating the fraternity’s anti-hazing policy will be immediately suspended with a recommendation for expulsion."